Invite your inner child out for a bit of winter crafting this week! When snow won’t come to you, you have to make your own snow! That’s the new iHanna saying around here. 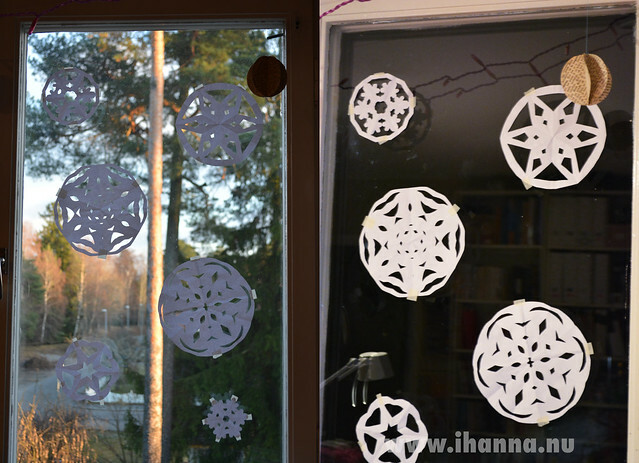 Or, even better put; when snow flakes out on you, you’d better create some snowflakes on your own! And you may quote me on that. 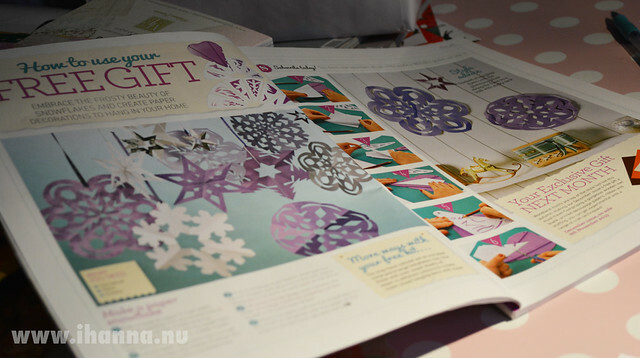 A sweet friend of mine bought me some fun stamps and a magazine about paper crafts on her latest trip abroad. And when she came over we had a lovely time together paper crafting with my new stuff! 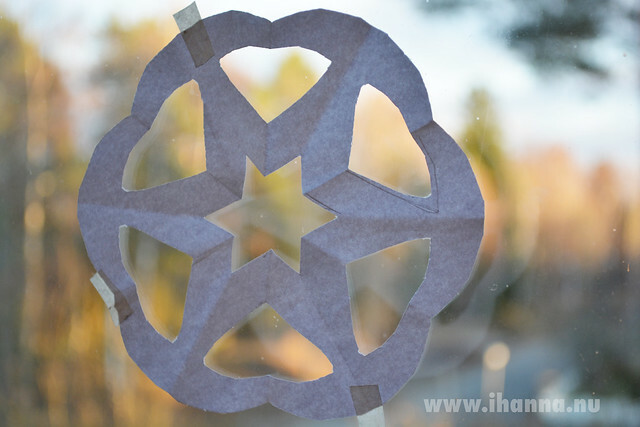 …back in schoool you just foleded a paper and cut a snowflake free-hand, but with the Snowflake Tool (!) it got a bit more complicated. That is until we figured out where to do the folds so that the paper fit inside the plastic ruler. Everything becomes easy once you know how, right? Once it was in there you use the patterns on top to draw where you then cut. 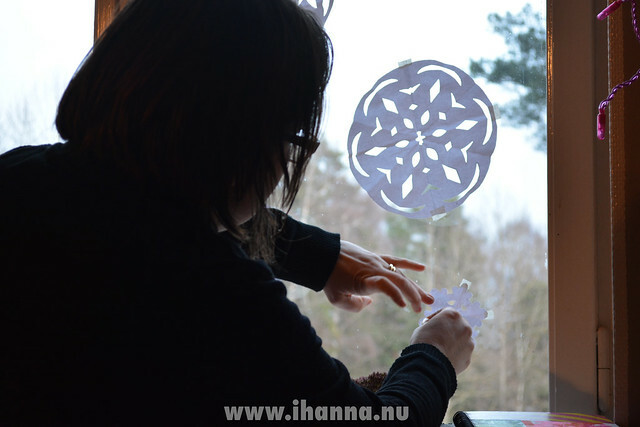 In this way we got “amazing paper snowflakes” – and quite a few good laughs! It felt a bit like being back in kindergarten! 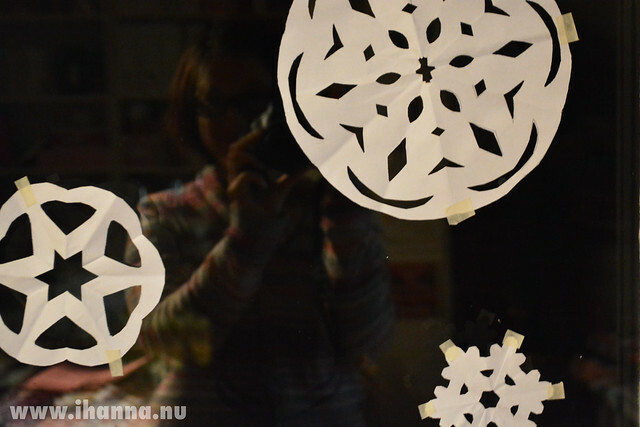 And then my friend decided it was a great idea to tape all the snowflakes up – on my window! So now it feels like I live in kindergarten land too! 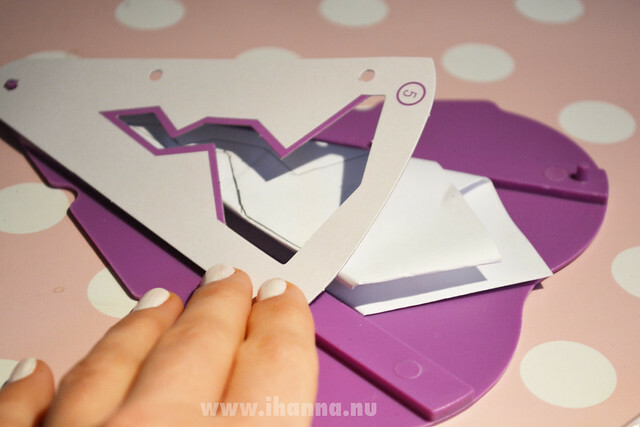 Without the tool we could’ve made paper snowflakes much quicker, but then again, without it we would never have had the idea to sit down to create these. So, in the end all is good and well in snowflake filled kindergarten land, and my inner child is purring with happiness. Or as we said before we started: How-how-how? This entry was posted in Paper Crafting and tagged christmas craft, inner child, paper cutting, snow. Bookmark the permalink. How FUN!! These look great on your window! I never saw a tool for making these either…I can just imagine the laughs you had trying to figure it out! They turned out beautiful!